Stockton is a city located in the Central Valley of California. It had a population of about 320,554 people in 2017 according to the California Department of Finance. 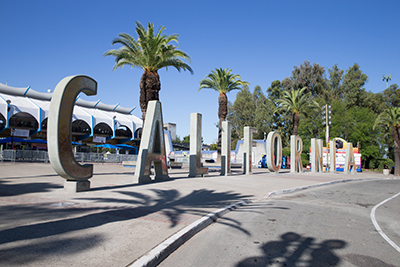 This is the 13th largest city in California and has a median household income of $35,453. Authorities estimate that about 23% of the city’s population is living below the poverty line. Stockton has a seaport which allows for easier transportation of products from one point to another. It is also among the leading regions when it comes to road network, airports and railways. While these infrastructural advancements are to be commended they also act as a double edged sword because they enable the transit of illicit substances to continue at alarming rates. While local authorities have tried their best to curtail any drug trafficking activities the truth is that the vice is still rampant. Another problem facing this city is the high number of people using illicit substance. Being part of the greater California authorities from the region have over the years reported alarming rates of emergency cases throughout its hospitals. Some estimates put the number of drug related emergencies at 40,000 every year. Additionally 10 percent of the population in California is suffering from physical and mental effects of drug abuse. Some of the most commonly used substances in this region include marijuana, methamphetamine, cocaine, heroin and alcohol. If you live in Stockton and have fallen victim to substance abuse don’t hesitate to seek treatment. There are enormous resources in at your disposal. The most commonly used substances may vary by region depending on various factors. Availability of marijuana in one neighborhood may make its use more common than the other substances. The costs and local laws governing each substance may also play a role in determining how much locals use it. Here are the substances that are often used in Stockton and how they can affect users and their families. This is a psychoactive drug made from the leaves, stems and flowers of a plant called cannabis. It has a number of street names with some of the most common being pot, weed, ganja, skunk, cheeba, chronic, gasper, herb and hot stick. The substance can be used for recreational and medicinal purposes. However, when used excessively it can have devastating effects on the user. The substance is taken by smoking or inhaling in the form of vapor. Some people may brew it as tea or mix it with foods such as cookies. When individuals take this substance THC and other chemical components of the drug move from the lungs into the bloodstream and finally to the brain. The effect is that the user will feel euphoric and relaxed. It is this feeling that makes people want to take the substance repeatedly without realizing that the consequences can be quite costly. Here are some of the negative effects of taking marijuana over a long time. This drug is most commonly referred to as meth. It is a potent central nervous system stimulant that is wrongfully used for recreation. The substance has a number of street names including ice, crank, chalk, crystal, tina, fire, speed and glass. It is usually available in the form of a crystalline white powder. It is odorless and can dissolve quickly in water or alcohol. The substance may be available in a variety of other colors including brown, pink and orange. Users can take it by way of injecting into the veins, smoking or snorting. Because it is a stimulant, taking it makes the user feel energetic and focused. Users also report feelings of intense euphoria and happiness. However, what most of these users do not know is that the pleasurable experience only lasts for a few minutes or hours. It is the negative effects of the substance that make it quite dangerous. Below are some of the negatives of taking meth. Cocaine is a powerful stimulant that acts on the body within a few seconds of use. It has a number of street names including coke, candy, cola, flake, pearl, yeyo, stash, toot, big rush, bump, line and rail. Users can take the substance by way of injection into the veins, snorting and smoking. After taking this drug users feel euphoric and confident which is why most people prefer taking it when going to social events. It increases energy levels in the body for a short while. The negative effects of this substance are listed below. Heroin is an opioid drug that produces almost similar results to the substances mentioned above. Other names that may be used to refer to this drug include skag, mud, dragon, crack, junk, tar, H, number 3, snowball and sack. Individuals take this drug through a variety of methods including injecting into the veins, snorting, smoking and sniffing. The drug is quite potent and will often give users euphoric effects within a few minutes of use. Studies have shown that in 2013 alone the United states lost a total of 8,257 lives to heroin overdose. There are thousands of other people dealing with heroin addiction and the consequences that usually ensue. Listed below are some of the negative effects of taking this drug. Drug use does not have a single cause. Instead people may use substance because of their own unique reasons. Here are some of the most common causes of drug use. Past trauma – individuals that may have had a rough time in the past can resort to the use of drugs as a way of dealing with the physical and emotional scars that they have. Physical violence or sexual abuse by close family members are among the top traumatic causes of substance abuse. Peer influence – while some teenagers may take drugs due to the pressure that comes from their friends others may do it simply because they think friends that use drugs are cool. Such teens use drugs to fit in or appear cool too. Boredom – there is a large number of people that use drugs because they are bored. They have nothing else to do and therefore believe that using drugs can be a good way to pass time. Family influence – teens living with siblings or parents that are fond of taking alcohol or other types of drugs may be tempted to use drugs because they think it is something that is acceptable and good. Indeed it is quite difficult for a parent that is taking heroin or cocaine to warn their young one about the dangers of these substances. Recreation – a lot of people take drugs to have a good time. Ecstasy and alcohol are particularly two of the most commonly used drugs by people that want to have a fun experience. Dealing with stress – When faced with financial or academic difficulties some people end up taking drugs as a way of relieving themselves from stress and escaping the reality of the tough life they are going through. Curiosity – individuals that take drugs for the first time do so out of curiosity. They want to find out exactly how a substance can make them feel. Getting addicted to drugs or alcohol is a process that takes place over time. Some people become addicts faster than others and this can be attributed to a variety of factors. Potent substances such as heroin and cocaine are highly addictive while substances such as alcohol may take a longer time and larger amounts to get people addicted. Regardless of the factors involved here is the process that leads up to addiction. It is at this point that individuals become aware of a given substance. This may occur when a friend talks about the substance or a family member comes back home while high. Some people are made aware of various substances by watching movies or listening to songs that seem to praise the effects of a given substance. During this stage individuals have become fascinated by the effects of a given substance. Alternatively teens may have taken a lot of pressure from friends making them succumb to the idea of experimenting. Most individuals only use a small amount of the substance at this stage. At this stage the users have become comfortable with the substance of choice. They may take it even without being prompted by outside influences such as friends. A large number of people that have reached this stage use drugs for recreational purposes. They may use substance after work or school, right before they sleep and over weekends. At this point users have become extremely fond of the substance of choice. They start acting out of character just so they can get their fix. Some people start sneaking drugs or alcohol to work or school. They may also have to get a dose of the substance in the morning just to feel energetic enough to start the day. It is at this stage that most family members start getting concerned about their loved ones. However, users are usually on the defensive and may become ill-tempered when confronted about the issue. Dependence refers to a stage in which the user’s body has become too accustomed to the substance that failure to get a regular dose may lead to withdrawal effects. Some people may experience mild effects while others may go through an excruciating experience. Some examples of withdrawal side effects are listed below. After consistent use of alcohol or any other drugs individuals inevitably become addicted. It is worth pointing out that addiction is a condition that affects substance users both physically and mentally. They are so taken by the use of drugs or alcohol that they are unable to focus on anything else. They spend a large amount of their time thinking about or using drugs. They may also waste a lot of hours sleeping or dealing with the after-effects of drug use. People that are addicted to substance are considered powerless because their will is not strong enough to help them turn around from drug use. This is why it is imperative that they receive professional treatment. Why do some addicts fail to get addiction treatment? An estimated 20 million people suffer from addiction related complications throughout the United States. However, only a handful of people ever receive professional help. Below are some of the reasons why a majority of drug users never get help. Costly programs – people that are living below the poverty line may not be able to access professional help because they do not have the amount that is required. Only a few of such people are enrolled in welfare programs or get some form of assistance from well wishers. Fear of law enforcers – individuals that use drugs such as cocaine and heroin are reluctant when it comes to seeking help. Most of them believe they will be arrested and imprisoned which is why they suffer in silence. The truth is that approaching a professional treatment center can be a good way to stay out of prison and receive the much needed care. Ignorance – there are a number of people that do not know about treatment programs. Such individuals do not realize addiction is a condition that actually needs medical and psychological treatment. It is important to note that some people believe addiction is a problem that can resolve itself. Denial – unless a drug user realizes that what they are doing is wrong they may never be able to receive help. Keep in mind that treatment takes physical and psychological aspects. Unfortunately a number of addicts are in denial making it impossible for them to get help. Fear of the addict – some family members fail to seek help on behalf of their loved ones because of fear. The addict may be an older sibling or parent which complicates matters for younger people that would like to intervene. Young people that find themselves in such a situation are advised to approach a social worker or reach out for help through drug addiction helplines. The use of drugs and alcohol has a myriad of complications for both users and their loved ones. Here are some of the most common consequences of substance abuse. Compromised physical health – excessive use of substance ultimately takes a toll on internal organs. This means that substance users are likely to damage their liver, kidneys, brain and heart. They may also compromise the quality of their body tissues and blood vessels. Mental decline – individuals that use drugs or drink too much alcohol eventually lose some of their mental prowess. Drugs such as marijuana act directly on the brain which is why they usually lead to a decline in intelligence quotient. Spiritual dilemma – individuals that were religious prior to drug abuse and addiction may become depressed because of the perceived judgement that is awaiting them. Such people may live in perpetual fear of condemnation. Inability to care for family – when parents or breadwinners in families are addicted to drugs they lose their ability to provide. This means that other family members may end up dropping out of school or engaging in less than ideal jobs just to make ends meet. Breakdown of law and order – a lot of crime incidents are attributed to drug use. Most offenders have been known to be under the influence of illicit drugs or alcohol. Some of these people engage in criminal activity as a way of raising enough money to cater to their substance needs. Death – people that continue using drugs over a long time may lose their lives because of issues such as a weak immune system, damaged internal organs and overdose. Some people end up being quite depressed which is why they start having suicidal thoughts. If a loved one is battling drug addiction it is important for all family members and friends to get involved in the process of intervention. Under the guidance of a professional counselor these people can approach the drug user in an appropriate manner. This kind of intervention allows the user to realize that he or she is dealing with a serious condition that must be treated before it’s too late. Below are some of the things that take place during addiction treatment. Detoxification – once a patient has been admitted into a treatment center doctors facilitate detoxification. This is basically a process through which the body rids itself of harmful substances. Depending on the severity of addiction doctors may recommend a given diet to aid in the process. They may also continue administering the substance that the patient is addicted to but at reduced amounts. This technique allows the patient to better cope with the negative withdrawal effects. Medication – because some drug users may have contracted infections such as hepatitis or HIV they must be provided with the right medications to manage their conditions. Medication mitigates the effects of diseases or infections that would otherwise lead to permanent damage of organs or death. Psychological counseling – addiction does not only affect the body of the user it also has a negative impact on psychology. That is why it is necessary for professional counselors to schedule one on one talks with the patient. These talks allow the patient to come to terms with the consequences of addiction. Counseling also makes it possible for the patient to identify destructive thought patterns and acquire the necessary knowledge on how to break free of them. Comfort creation – withdrawal effects can sometimes be quite unbearable. Some people experience abdominal pains, muscle cramps, headaches, chills, sweating and extreme anxiety. Caregivers create a conducive environment for people going through this phase of treatment to enjoy some level of comfort. Spiritual nourishment – drug addicts usually have to deal with the spiritual consequences of their habits which is why the best treatment programs incorporate spiritual teachings. This enables patients to understand that human beings are bound to make mistakes but can still turn their lives around and lead a life that is pleasing to God. Follow up – most rehabilitation centers provide aftercare days or months after the patient has completed a treatment program. Formation of support groups where individuals share their experiences is one of the things that may take place at this stage. Continuous counselling and care at a sober living home may also form part of the aftercare services. Patients may be offered treatment services under an inpatient or outpatient program. The former refers to care given to patients who are required to stay at the facility for the duration of the program while the latter is care given to patients who do not necessarily have to stay at the facility. Here are some advantages of both treatment programs. The costs – before picking any rehabilitation center it is prudent to take some time and compare the rates at which different facilities are offering their services. Avoid rehab centers that seem to be too expensive for you to comfortably afford. This will guard against encountering financial difficulties while in the middle of a treatment program. Think of speciality – choose a rehab that treats the type of addiction you are dealing with. Some facilities are better equipped to handle alcohol addiction while others may excel in treatment of opioid addictions. Personal issues – think about a rehabilitation center that is likely to give personalized care to the patient. If the patient is a teen it is prudent to enroll in a teenage rehab. The same considerations should be done when it comes to gender, spiritual beliefs and patient preferences. Location – the location of the rehab may have implications on treatment success. Individuals that receive treatment in a rehabilitation facility located in a secluded area get enough time for soul searching and starting a new life. Patients within the city are able to interact with family members on a regular basis because of proximity to home.